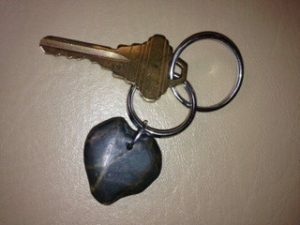 The keychain pictured below was lost at the site. (This is with an old key on the “keychain”, so the key now attached will be different.) If you find it please send an email here to reunite it with its owner.